You cannot deny the reality that e-commerce is progressively replacing the physical markets. Similarly, instead of depending on traditional marketing, you should go for e-marketing. Thus, you should utilize online store website templates for your Computer Repair business in 2016. These often customizable templates vary in price and some of them are entirely free. Your clients will love the fact that they can communicate with you throughout and locate you free of cost. 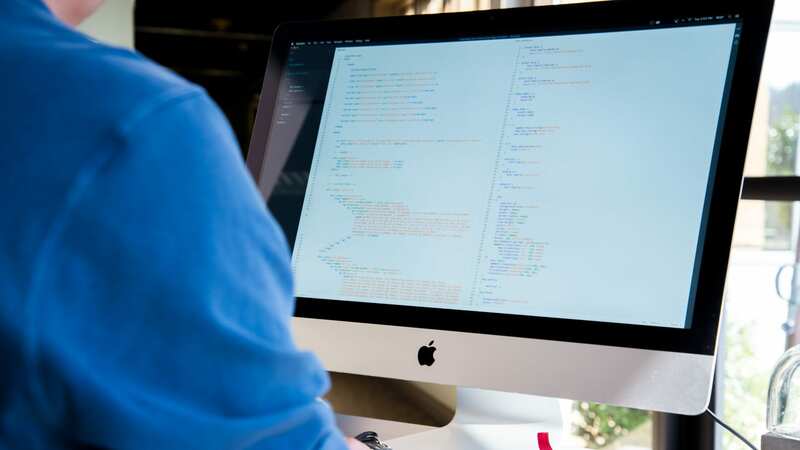 The Computer Repair Moto CMS Website Template $49 offers perfect website solutions since it features an admin panel, drag & drop option, and efficient content management. This easy to use template has varied designs to select from with editable hi-resolution images & stock photos. It guarantees satisfaction & customer support throughout. The Computer Repair Shop HTML Website Template costs $17. This well documented template is compatible with Bootstrap and comes in high resolution. It is layered and operates on IE10+, Chrome, Safari and Firefox browsers. This responsive file is available for download with PSD, JS, and CSS & HTML files. 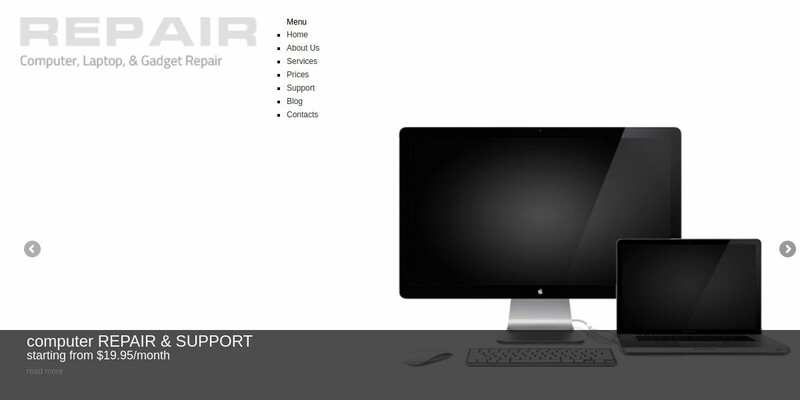 Computer Repair Landing Page HTML Website Template $14 is responsive, supports English and comes in single column view. It has been coded with Sass, jQuery, Valid coding, HTML 5 & CSS3. In addition, it is compatible with many browsers and contains Google web fonts, Google maps, Sliced PSD, Favicon & drop down menu. 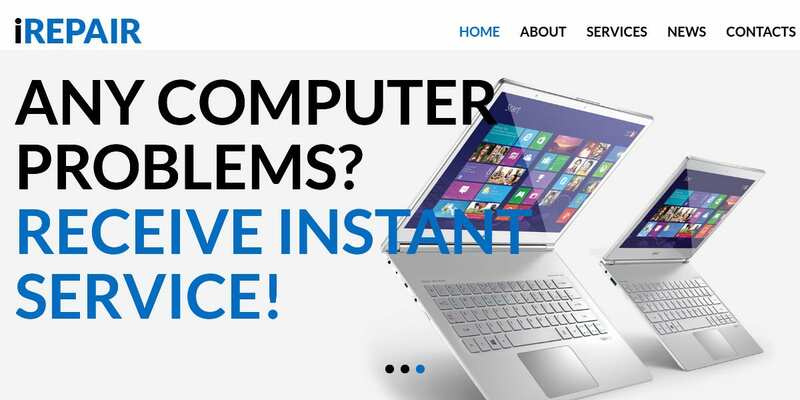 The Computer Repair WordPress Website Theme has been professionally designed and is perfect for use by individual technicians and large businesses. It features a testimonial page, rate-charts, responsive design, professional layout and overview of popular services. You can use it to inspire trust, introduce your team, and write blogs. You can also modify its features. 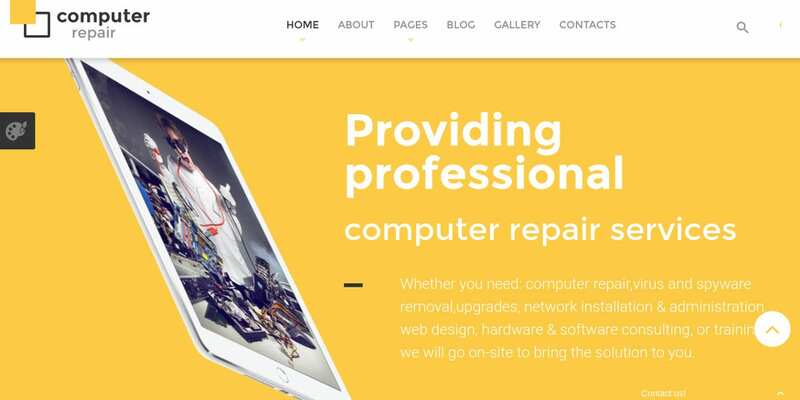 This computer repair Joomla template features a purely responsive design, and 24/7 clientele support and satisfaction guarantee. Apart from parallax effect, it contains web forms including registration, search, login and contact forms. It has been coded and designed on Bootstrap. This file with animations comes with social & advanced theme options. Computer repair services WordPress website theme allows technicians dealing with internet services, computers and mobile repairs to chat with their clients. This responsive template works on several browsers. This documented sliced PSD file is search engine friendly and WPML ready. It comes in two columns and features audio and video integration. The Professional Computer Repair WordPress Website Theme appears perfect on many devices since it is responsive. You can select your preferred theme from Google fonts, modify its colors and include your location address & phone contacts. It features standard pages, news page, and call to action form. 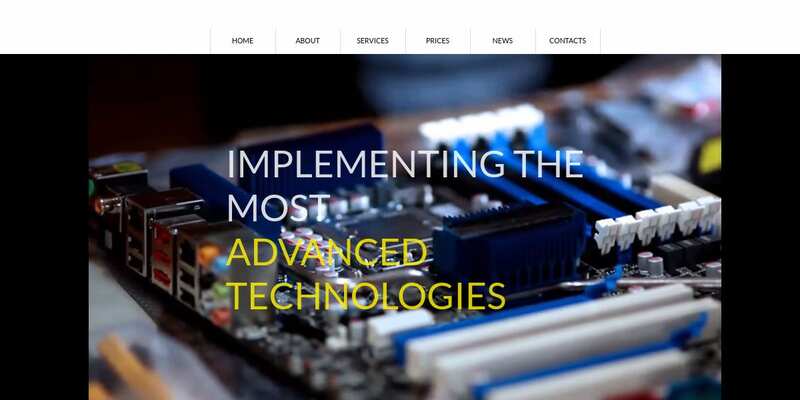 The fully responsive Computer Repair for IT Solutions WordPress Website Template features a unique full width slider and 10 unique customizable colors. It has efficient navigation and a powerful admin panel. The theme is easy to customize and optimize considering that it features single page scrolling and cross-browser support. The Computer Repair Moto CMS HTML Website Template prides in its easy to use and editable content & layout. It has eight distinct gallery & slider options and twenty widgets and modules. The SEO friendly template operates on many browsers. It is well documented, supports English and features HTML animation. Finally, when seeking to promote your computer repair business, you should use Computer Repair Business Card Template. These fully responsive and editable documents are affordable and easy to use. With them, you can create trust and get loyal clients.